Indian Head Massage is a therapy which involves massage of the upper back, shoulders, neck, head and face. It has been practiced in India for over a thousand years. It was originally developed by women in India where it was an important part of every day life and passed down through the generations. 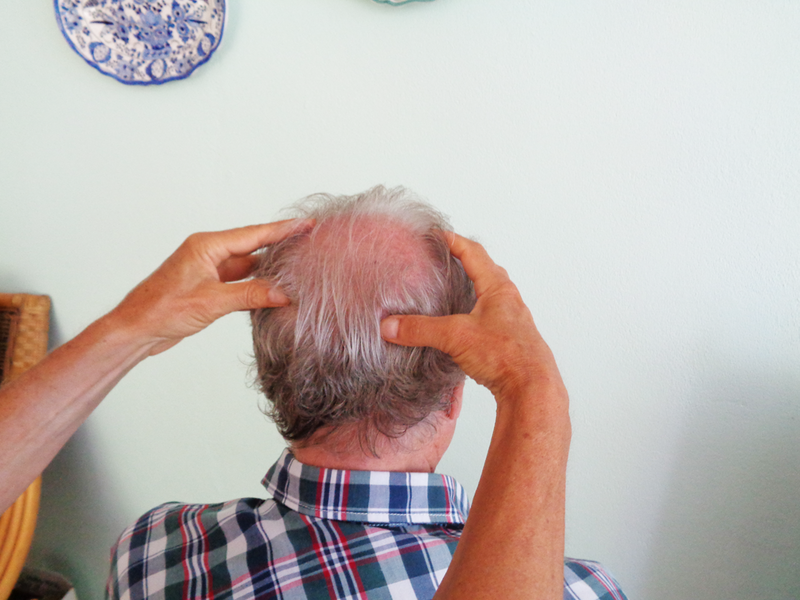 There are specific pressure points on the client’s face, which are gently stimulated. Dispersal of toxins from tense, knotted muscles and relief from chronic neck and shoulder stiffness. Loosening of the scalp to promote hair growth and increasing oxygen uptake in tissues. Improved circulation of blood in previously congested muscles, providing extra oxygen for the brain. Stimulation and improvement of the circulation of the lymphatic system. Restoration of joint movement in the neck and shoulders, helping in the relief of eyestrain and tension headaches. Regular treatments relieve stress, giving you more energy to cope with stressful situations. Helping with mental tiredness and relief from mental and emotional stress. Excellent for disturbed sleep and insomnia. Soothes the senses and helps to dispel unwanted thoughts, leaving the mind calm and clear. Relaxing the whole person and giving you a deep sense of calmness and tranquility.